LOS ANGELES-Residents in the primarily low-income Watts/Willowbrook communities have gone without a full-service, ambulatory care hospital for two years now, but a pact by Los Angeles County and the University of California, and federal assistance from the American Recovery and Reinvestment Act will help to reopen the Martin Luther King, Jr. Hospital. The county closed MLK in 2007 after it failed a series of federal inspections, but prior to that, a broad coalition of residents, medical professionals, and health advocates across South L.A. held a series of marches, protests and town hall meetings to try to save what for decades had been more than a hospital. The facility, formerly called the King/Drew Medical Center (in honor of civil rights leader Dr. Martin Luther King, Jr. and blood plasma pioneer Dr. Charles R. Drew) was built in 1966, one year after the Watts rebellion, in response to poor medical services in the area. King/Drew’s legacy included its historic trauma center and medical school, which helped to train a legion of minority doctors to serve what was then known as South Central Los Angeles. King/Drew’s highly-skilled doctors also helped to train U.S. Army physicians to treat patients in combat zones. Many hailed it as a positive symbol of health care and economics for poor, urban neighborhoods across America. “With the hospital closed, it leaves a whole generation of people uncovered in terms of health services and emergency services, and it disproportionately impacts the region,” said author and columnist Dr. Anthony Asadullah Samad. He experienced the void firsthand recently, when his sister had to be rushed to County General Hospital, which is much farther away than King. “The fact that we are in the richest and most affluent society in the world yet don’t have health and medical infrastructures in key urban cities to take care of potentially life-threatening situations is the reason we should have hospitals in communities, particularly underserved communities with large populations of uninsured,” Dr. Samad said. The current MLK, Jr. Multi-Service Ambulatory Care Center houses an Urgent Care Center that treats non-life threatening medical problems such as fevers, colds, and sprains. Its outpatient clinics offer services in HIV/AIDS, cardiology, dermatology, dentistry, geriatrics, neurology, orthopedic and physical therapy. Under the agreement, the full service hospital will reopen with UC providing the physician staff and developing a graduate medical training program. L.A. County will cover the finances for the project. According to Jan Takata, senior manager in the county’s Chief Executive Office, up to $56 million of the government’s $787 billion stimulus plan will help to repay interest on the loans used to construct MLK’s new Multi-Service Ambulatory Care Center, which will cost $145.3 million. “This is going to allow us to start construction on the new ambulatory care center in 2010, so the community will start to see the effects and the impact almost immediately,” he told The Final Call. To be eligible for the bonds, designated areas must have a significant amount of poverty, unemployment and home foreclosures or general distress. According to recent testimony before the House Committee on Ways and Means by William Hobson, president/CEO of Watts Health Care Corporation in South Los Angeles, approximately 96 percent of 23,000 patients at the Watts Health Center have incomes below 200 percent of the federal poverty level. 2nd District Supervisor Mark Ridley-Thomas told The Final Call the campaign to reopen MLK Hospital began Dec. 2, 2008. “We pushed as hard as we were because there’s a deadline to get all of this in place so that we can qualify for the $56 million in savings,” he said. Shortly after he was elected in 2008, Mr. Ridley-Thomas began the campaign to reopen MLK. “Here we are 12 months later with $350 plus million, with the UC agreement, an enthusiastic community, and a responsive local government to restore these services and build a new hospital that will be worthy of replication,” he said. 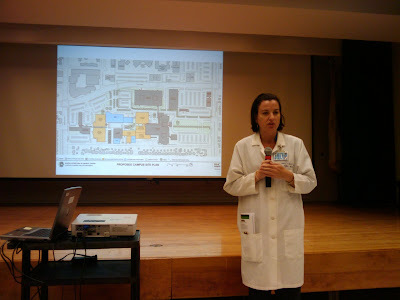 The new 38-acre campus will feature a 120-bed community hospital, run by a non-profit, 501c3, fully independent board. It will have a community advisory board and be equipped with an emergency room, operating theater, ancillary services, and other hospital services that will be coordinated with local, county, and private health providers. In addition, Supt. Ridley-Thomas told community stakeholders, the hospital project alone would create some 300-400 jobs on the site, and according to economists, each one would create a job in the community. So roughly, we are looking at creating 600-800 jobs through construction of the hospital alone, he said. Supt. Ridley-Thomas is pushing for a local hiring policy by the county, especially with regard to construction jobs, to ensure employment for the Watts/Willowbrook community. The hospital is a key anchor, but it will benefit three zones on and around campus through proposed projects totaling $400 million. They include metro station transportation improvements; two health centers (one to be built first in March 2010); a community college health care training academy; the Willowbrook Library; and the Martin Luther King, Jr. Fitness Park, which will replace an existing fitness center in Compton.